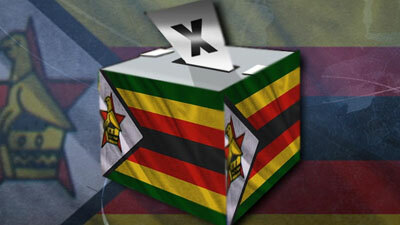 HARARE – The election battle between the Nelson Chamisa-led MDC and Zanu PF resumes today in the Mutoko North by-election — four months after the disputed July 30 harmonised elections. A by-election is being held for Mutoko North Constituency which fell vacant when incumbent legislator Marble Chinomona was elevated to president of Senate. Chinomona was elected Senate president after beating MDC-Alliance candidate Morgen Komichi. Zanu PF candidate Rumbidzai Nyabote will battle it out with MDC Alliance’s Boniface Mushore and Edson Mugoma of NCA. Speaking to the Daily News yesterday, Nyabote expressed confidence that he would emerge triumphant in the polls. “As Zanu PF, we are ready to defend this seat; it is ours and we will keep it and we did our work diligently so we are so confident that we will even surpass the numbers which we bagged during the harmonised elections,” Nyabote said. MDC’s national organising secretary Amos Chibaya said there was no chance of Zanu PF winning the poll “given how they have already messed up since stealing the July 30 elections”. “Now they are using war veterans again threatening voters with death if Zanu PF loses but I want to warn them to be ready to kill everyone in Mutoko North because they will still be rejected by the people even when they are employing dirty tactics to coerce the people to vote for them,” Chibaya said. The main MDC, under the tutelage of its late founding president Morgan Tsvangirai had been in the habit of boycotting the country’s by-elections to press for electoral reforms. However, that seems to have changed with Chamisa taking over the reins with the former ICT minister said to be of the view that it is not wise to boycott on account that by-elections keep the party visible. Meanwhile, the Zimbabwe Election Support Network (Zesn) has said that the run-up to the Mutoko North by-election has been characterised by intimidation. Zesn observers have been monitoring the pre-election environment in Mutoko North from October 28 to November 10 ahead of the National Assembly by-election scheduled for today. In a report, Zesn said although rallies were held peacefully, members of the ruling Zanu PF were threatening opposition members with loss of life if they voted for MDC. Zanu PF members also allegedly manipulated people into believing that those who were going to vote for the opposition were not going to benefit from government welfare projects. Ruling party thugs were also allegedly forbidding opposition supporters from wearing their party regalia and threatened them with loss of their material possessions if the MDC won. “In ward 4, people were cautioned that they risked losing their property if they voted for an opposition party. “People also choose to associate with the ruling party so they do not risk losing out on aid that is deliberately politicised. “At a rally held on November 3, 2018 in Botsanzira Village, those who would vote for the MDC Alliance were cautioned that they risked losing their lives,” the report said.